This summer has been pretty normal where we live. We have had warm days and cool nights since the end of May and I love it because hot weather is one of my biggest enemies, we simply can’t seem to get along. These past two weeks however have been unbearable and all we do is drink plenty of water and make raspados at home, which is the Colombian version of snow cones or shaved ice. Making the shaved ice is the easy part because all I do is crush it in the food processor but the flavored syrups do take a bit more time even though they’re super easy to make. I used to buy the bottle syrups they sell at the grocery store but they all had a weird after taste or were too sweet for my taste. 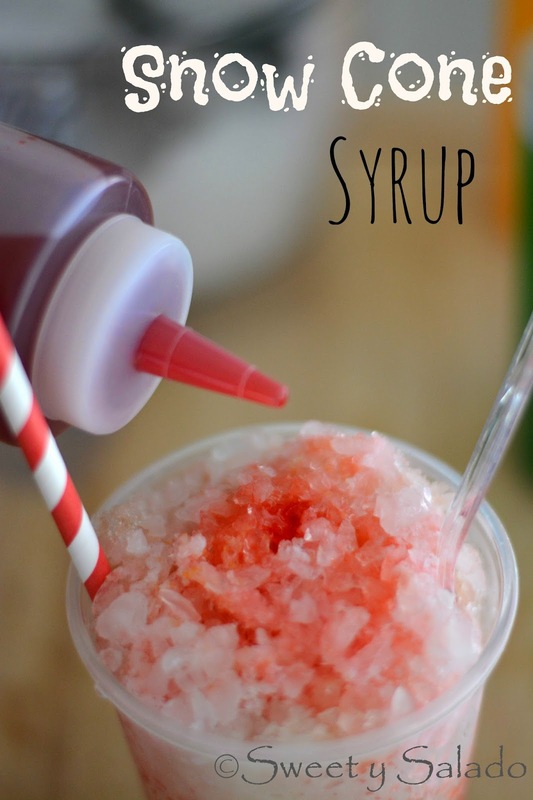 I already knew how to make fruit simply syrup but wanted brighter colors for my snow cones. Then, a friend suggested to make them with Kool Aid and it worked perfectly. 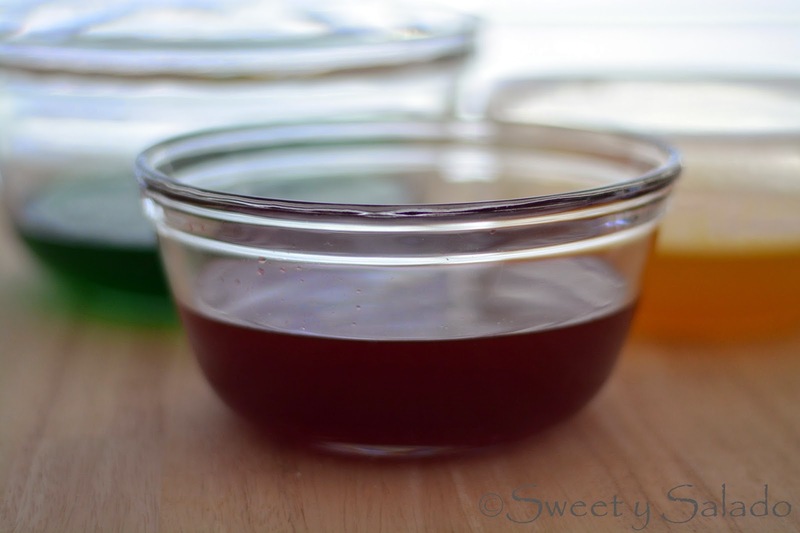 She told me to add one envelope into the simple syrup but after trying it out several times I found out that the flavor and colors are better if you add two envelopes instead of one. You can use any flavor that you want but remember that dark colors like grape of blackberry are not as pretty and appetizing as bright colors like red or green lime. 2. Remove from heat and add 2 packets of Kool Aid. Let it cool completely and then pour syrup into a bottle. Do this for every flavor that you want. 3. Store in the fridge for up to 2 weeks. 2. Add the passion fruit pulp and simmer for another 2-5 minutes. 3. Remove from heat and let it cool completely. Once cooled, pour syrup into a bottle. If using pulp with seeds, strain the liquid into the bottle. 4. Store in the fridge for up to 1-2 weeks.